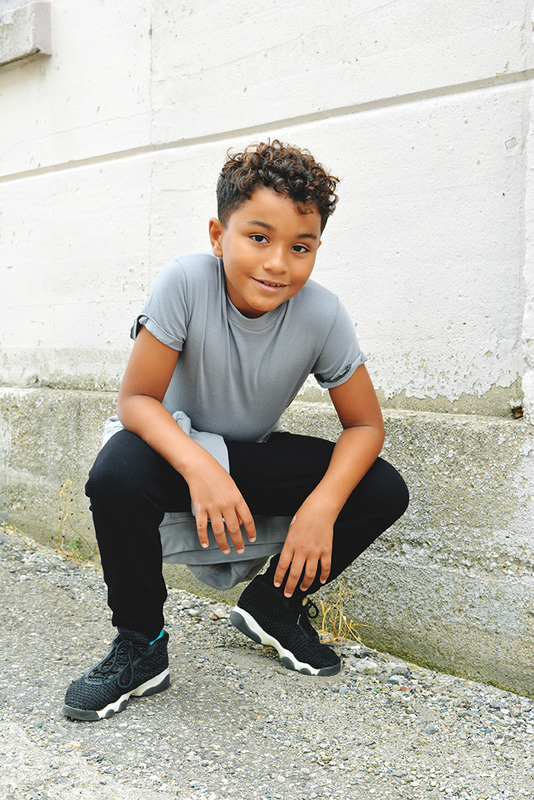 Athleisure is here to stay and the perfect trend for fall, making brands like Canadian childrenswear label Ming by Ming a must-have staple in your kiddo’s closet! 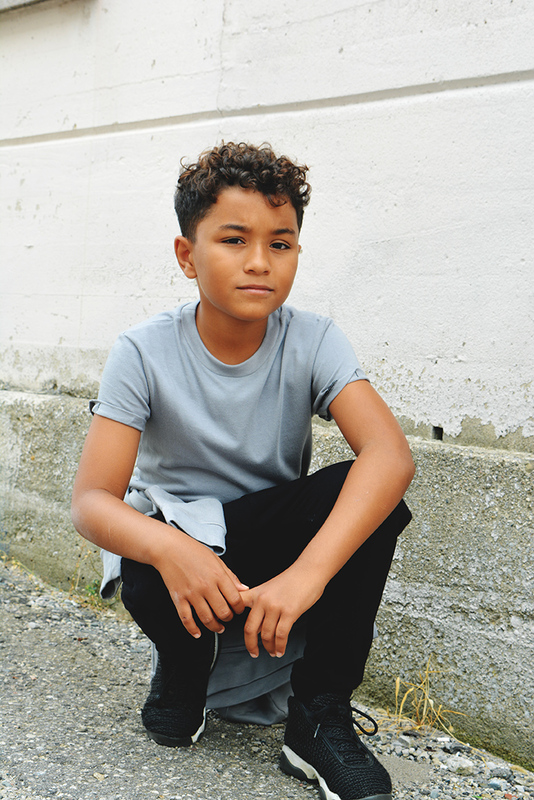 Ming by Ming is the ethical and sustainably made Canadian kidswear brand that makes clothing for kids that is cool and understated. Their pieces are contemporary, simple and timeless – created to last season after season in their style and construction. We can’t get enough of their gender-neutral rage of products so we tried out 3 of their best-selling styles with our buddy Kiyan. The “Edge Tee” is Ming by Ming’s classic, contemporary t-shirt. With contrast stitching and rolls sleeve details, this shirt takes a casual tee to the next level! As edgy as this t-shirt is, the softness of this garment is really what your kids will love the most. 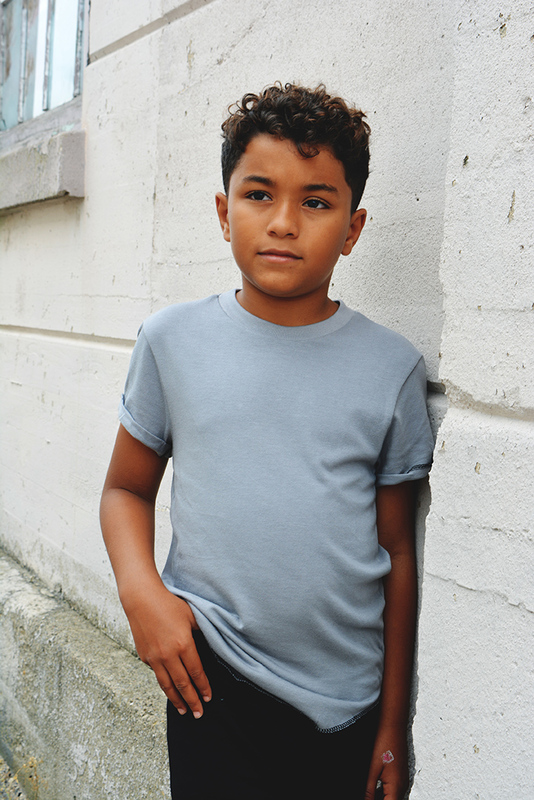 Made from 70% bamboo and 30% organic cotton, this is probably the softest t-shirt your kiddo has ever had! Pictured above, available in three staple shades: black, white and grey. 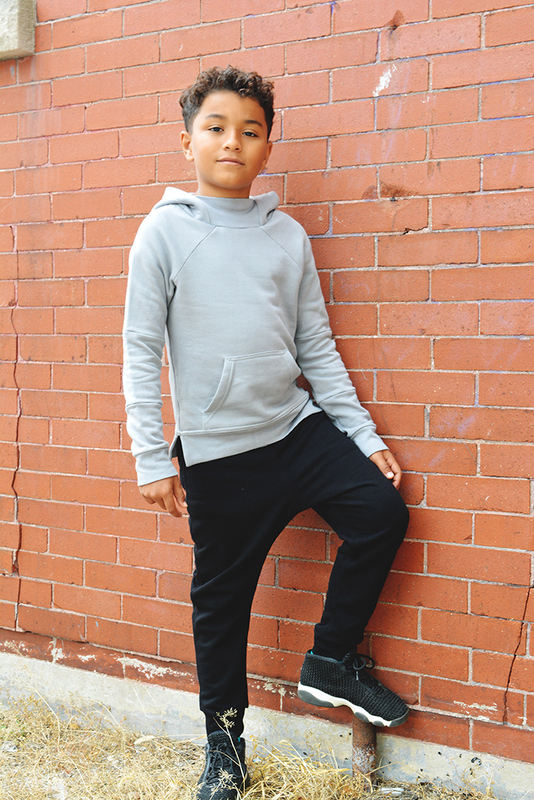 ‘The Classic’ tailored harem-style sweatpants are Ming by Ming’s take on an essential piece in every child’s wardrobe, only these pants are far more stylish! Not your average sweatpants, ‘The Classic’ has a thick, elastic waistband and a slightly dropped harem-style crotch that provides optimal comfort. Made with a super-soft organic cotton and bamboo blend these pants are incredibly soft yet, (unlike those other sweatpants) their smart tailoring keeps them from looking like slouchy pajamas. They are stylish and very wearable outside of the house! Finally, the Ming by Ming’s “Classic Hoodie” is the item your kiddos will not want to take off. The organic cotton/ bamboo fabric blend is incredibly soft but the smart construction really makes this piece special. 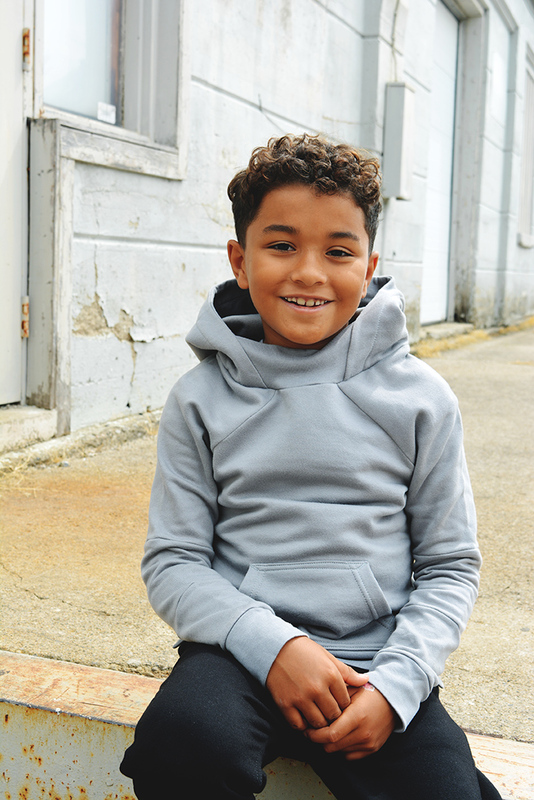 Designed to grow with your child, the hoodie can be worn as an oversized look with rolled cuffs or, as a more fitted sweatshirt with sleeves at their full length. 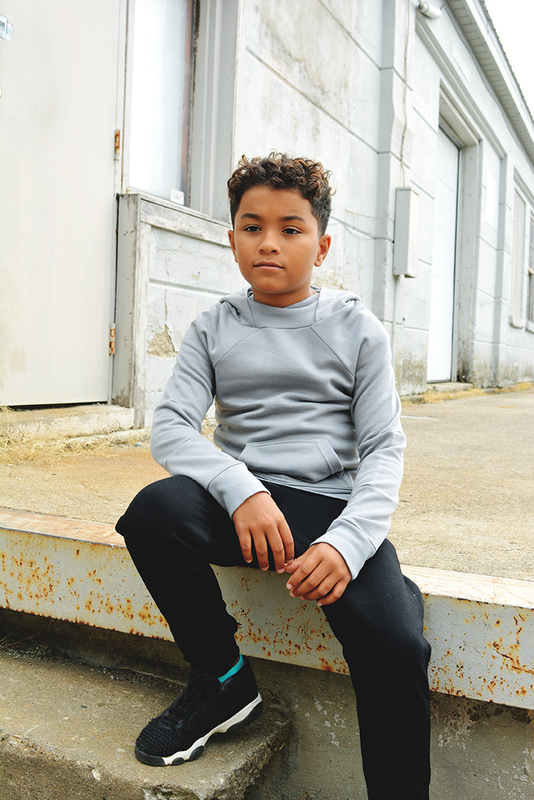 The extra-long sleeves and body, falling slightly longer at the back, fits the Athleisure trend perfectly, while also ensuring your child can get the most wear possible! A large front pocket is perfect for play, or in Canada, keeping your hand warm on chilly Autumn mornings, and the oversized hood is as cozy as it is stylish. We love the detail of exposed seams in this sweater that really make this simple pullover really stand out! 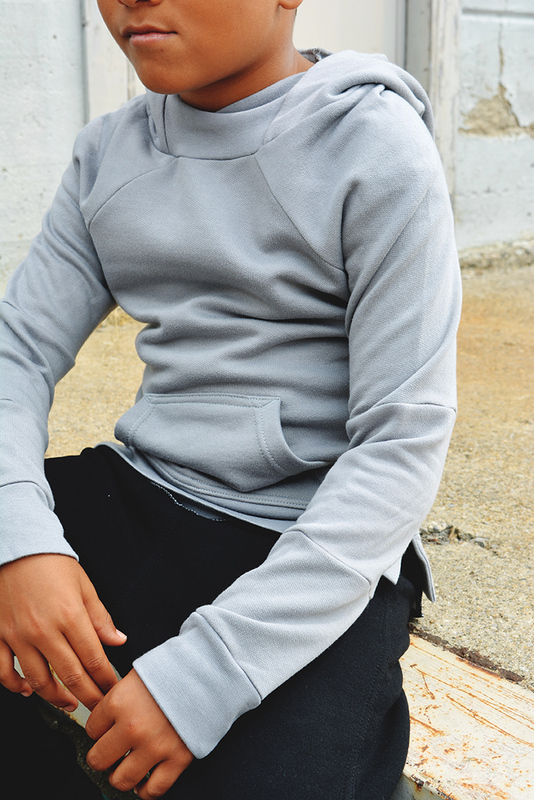 Available in black, grey and natural (an off-white tone); this hoodie is a piece both boys and girls will love! We think you are going to love to add these fun pieces by Ming by Ming with your kids’ wardrobe this fall season! While you are shopping, keep in mind that Ming by Ming designs fit true to size or, slightly larger than average. This fit, combined with the oversized nature style of the designs, will leave some kids swimming if you order up a size. For reference, Kiyan’s clothing size is an 8/10 and he is comfortably wearing Ming by Ming size 8 with room to spare. Enjoy free Canadian shipping on orders over $50 and shipping to the USA is free with a purchase over $100!